Happy Valentines Day! From everyone here at Scrap Shotz, we are thrilled to make your friendship and hope your day is filled with love, friendship and smiles! For the first one, I placed a layered heart on top of a loop of ribbon on a matted piece of pattern paper. My stamped sentiment was placed on the card and voila I was done! Here I folded an origami heart, glued in on my cardstock base and stamped my sentiment! Easy peasy! 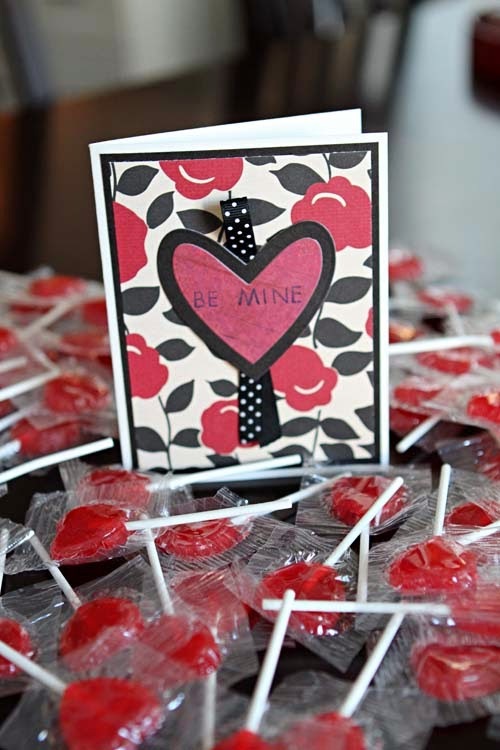 Can you share your Valentine cards with me? Have you seen these amazing Frame-lit dies by Sizzix??? 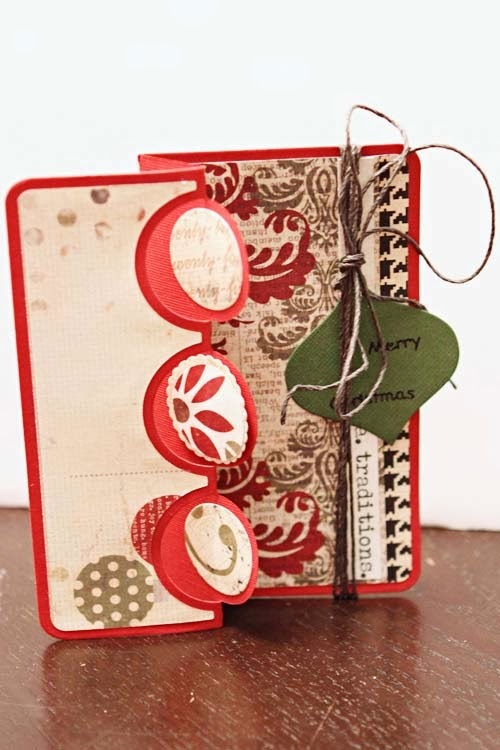 You may have seen some Christmas cards I made using the die. The centrepiece varies in shapes like squares, a full circle or even an oval. What makes the Frame-lits SO awesome is with one set of dies you create the cardstock background that is pre-scored AND then you use the remaining dies to cut the coordinating pattern paper pieces with a consistent 0.25" border. It even comes with dies to die cut the accent pieces on the swivel pieces. What used to take me hours and hours to cut, assemble and accent now literally takes me minutes to make. What I have done here is turned the Frame-lit die on its side, using the mountain and valley folds. 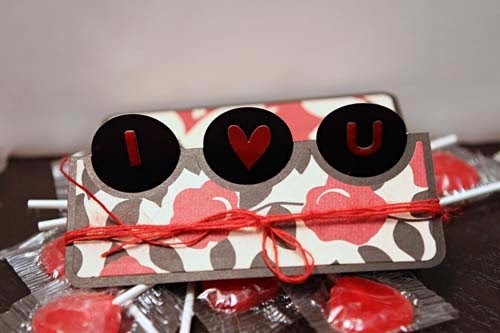 On the swivel pieces, I put my sentiment "I *heart* U" - below is a front view. 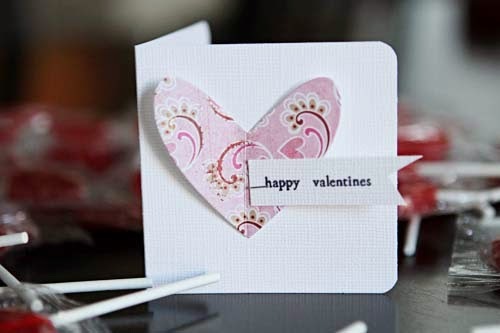 Here is a top view of the card - there is lots of room to write your thoughts to your special someone too. I hope you will agree with me that the Frame-lit dies are wonderful versatile and easy to use. 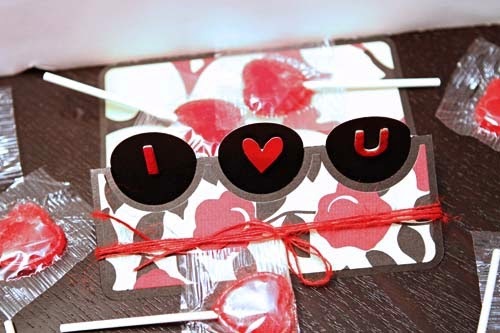 Valentines Day is just 2 days away - have you made your Valentines? I completely forgot about my daughter's party so she and I whipped up 30 of the Valentines cards below. In 30 minutes, my daughter and I grabbed my pink and red offcuts and used my wonderful Big Shot to die cut some hearts with my Spellbinders die. 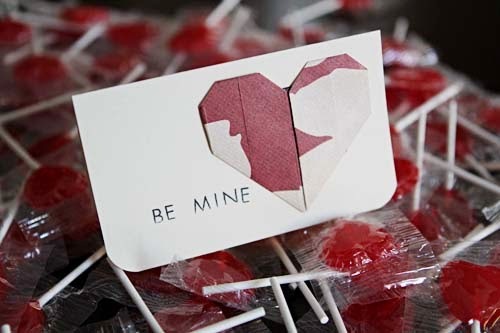 Then we used all the left over strips of paper to stamp "Happy Valentines." Probably her favorite part was stapling the sentiment to the heart with my Tim Holtz stapler and gluing it to the card front. Then I corner rounded the edges on one side. 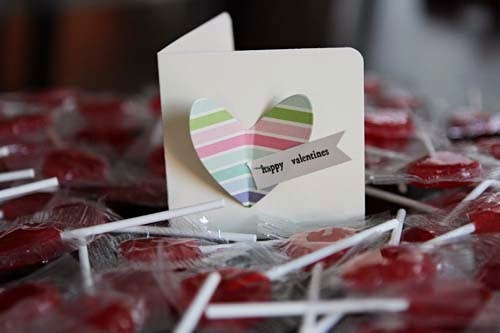 We are now taping a heart shaped lollipop to the card. It has been a fun project!